Zoho offers, among other things, 5GBs of cloud storage for your webmail and documents. There are now several free Office compatible options available for Android. Few of them however, offer online access. Of course there is Google docs, but many people are becoming much more anxious about the amount of information and power we have granted both Microsoft and Google in our lives. For those who prefer an alternative therefore, Zoho is an excellent option. Zoho Docs is an Office compatible word processor, spreadsheet and presentation suite. However, it's much more than that. 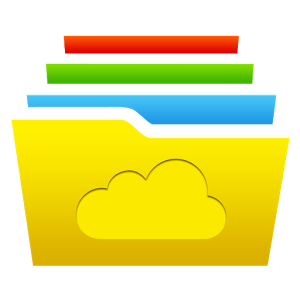 With it's Zoho Writer app, it also offers synchronization with Zoho Docs online storage, Google Drive, Dropbox and OneDrive. They use two-factor authentication using the SMS and Google Authenticator and if you so wish, you could still connect it to your Facebook and/or Google accounts. Although, that would likely defeat the purpose of getting away from those services. There's more, too. They offer a free and powerful webmail service, calendar, notebook, wiki, chat, groups, live meetings and much more. Their main focus is to provide a one stop shop for businesses, but by offering the free components to the public, they get to expand their exposure. From what I've seen so far, it's a very impressive set of offerings. They even have a Zoho Mail app with the integrated calendar service.